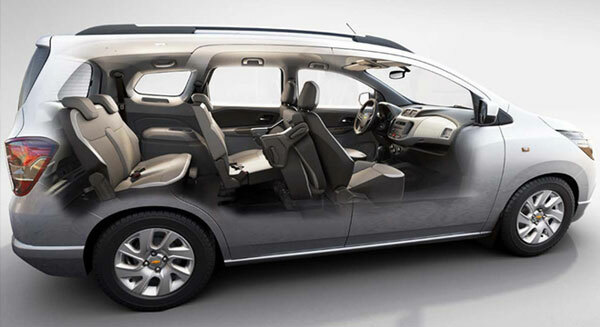 Chevrolet Spin is a mini multi-purpose utility vehicle that was introduced by General Motors in the year 2012. The car is available worldwide but with a change in borders, also changes its name. 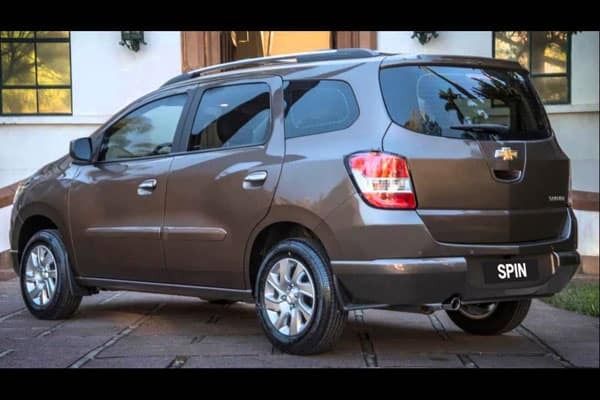 In most countries, people recognise it as Shanghai GM Chevrolet Spin. This 5-door beauty is built on GM Gamma Platform and is related to iconic cars like Chevrolet Onix, Chevrolet Agile, and Chevrolet Montana. Spin holds significant responsibilities on its shoulders, owing to the fact that is a replacement to Chevrolet Meriva and Chevrolet Agile. Matt Noone is the man behind Chevrolet Spin eye-catching exterior. The car is smartly designed and holds a crafty profile with aerodynamic attributes. At the front is present a black radiator grille that helps lower air resistance and improves fuel efficiency. Further, enhancing its aero quotient is present sharp front to rear contour and roof rail. On to the side are present body coloured door handles, power folding ORVM and prominent wheel arches. The rear includes elements like HID taillight, chrome accented company insignia, and rear wiper. Hailing from the MPV segment, Spin’s dimension sheet reads 4360 mm x 1735 mm x 1665 mm (LXWXH). Further, its 2620 mm stretched wheelbase provides an airy cabin. The cabin is designed keeping in mind comfort and convenience of the passengers and driver. All the controls are ergonomically placed ensuring convenient usage. At the driver’s arena is present three-spoke rack and piano steering wheel with cruise and audio control, and trip computer with digital clock and tachometer. Adding to the convenience level is 12V power socket that allows phone charging on the go. Along with many cabin storage compartments, the car has 162-liters of boot space that can be stretched to 864-litres with the rear seat down and 1608-litre with both rows down. 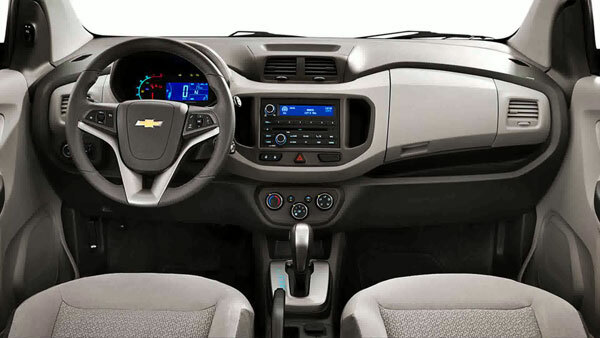 Connectivity in Spin is taken care by AUX and USB plug-in that allows the user to connect their devices to the audio system. Allowing hands-free calling is present Bluetooth Phone Connectivity feature. The 2 DIN audio system is infused with AM, FM, MP3 and CD players and is supported by four corner mounted speakers. 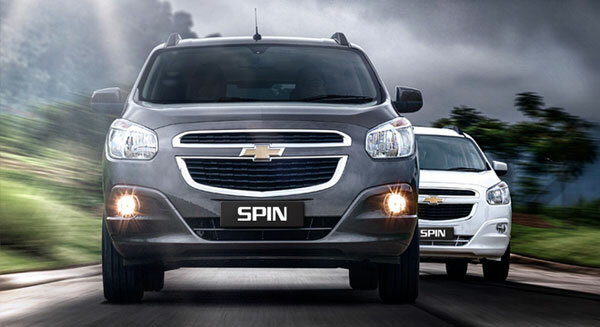 Chevrolet has made Spin available in two engine options – 1.5-litre DOHC VVTi and 1.3-litre DOHC. The former one produces a maximum power of 109 PS and a peak torque of 141 Nm. These figures in the case of 1.3-litre mill get revised to 73 PS and 190 Nm. 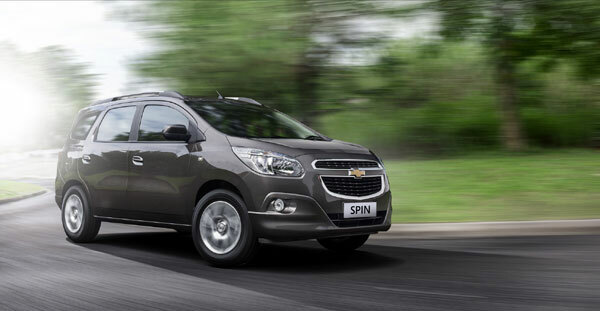 In wrap up, we’ll like to say that Chevrolet Spin is the perfect family car, with attributes like high mileage, comforting interior and dynamic exterior profile. Go forth and enjoy.